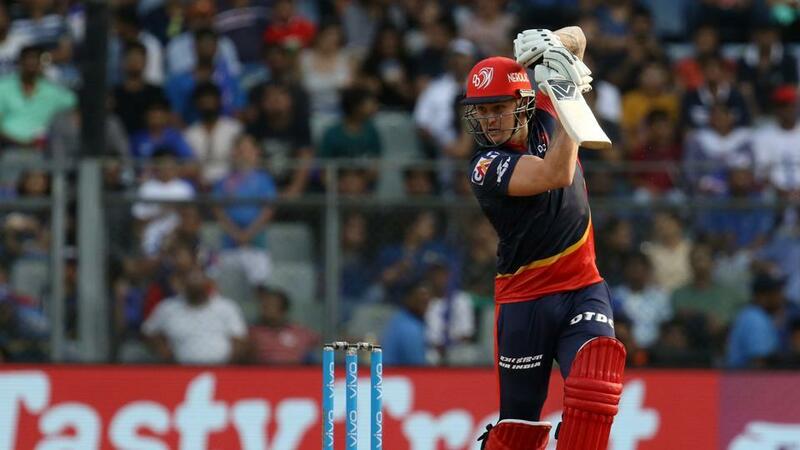 During the ninth match of the 11th season of the Indian Premier League (IPL) between Mumbai Indians (MI) and Delhi Capitals (MI) at Mumbai, the Delhi opener, Jason Roy, who was making debut for Delhi played match-winning innings for his team as the Delhi-based franchise registered its maiden victory of that season. His knock comprised of attacking shots, composed boundaries and a great sense of responsibility saw the Capitals chase 195 on the last ball of the match. Roy was replacing Colin Munro in the team and he grabbed the opportunity with both the hands. Opening the batting with Gautam Gambhir, both of them got their team off to a good start as they scored 11 runs in the first over which was bowled by Hardik Pandya. The MI skipper, Rohit Sharma introduced spin in the form of Akila Dananajaya in the second over itself. Roy welcomed the Sri Lankan spinner with a six and a four. Just when Gambhir was struggling to time the ball, Roy ran through Pandya by hitting him a couple of sixes and a four off consecutive deliveries. At the end of the powerplay, Daredevils had scored 53-1, out of which Jason had contributed 37* (18). When he smashed Mayank Markande for a couple of fours and a six in his second over, he made sure that he didn’t let the in-form leg-spinner settle down. In the 10th overs bowled by Jasprit Bumrah, he completed his half-century off 27 balls. It was his maiden half-century (in his fourth match) in the IPL. When Rishabh Pant was going bonkers against Mumbai’s bowling attack, Roy anchored his innings well as Delhi was chasing a daunting target of 195. The visitors needes 11 runs to win in the final over bowled by Mustafizur Rahman and Roy almost finished the game by smashing a four and a six respectively on the first two balls itself. However, he scored the winning runs on the last ball of the match after playing some dot balls.